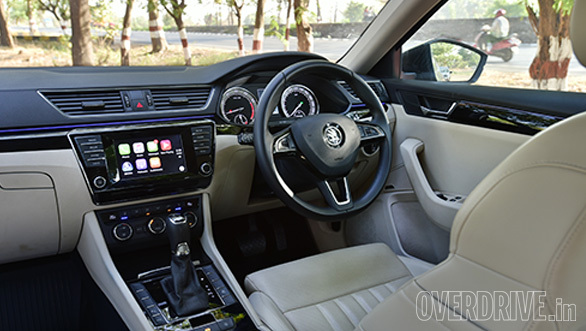 Skoda India has launched a new base variant for the Superb sedan with the 2019 Skoda Superb Corporate Edition. This costs Rs 23.99 lakh ex-showroom India but is only available to existing Skoda customers. There are two colour options- white and magnetic Brown. 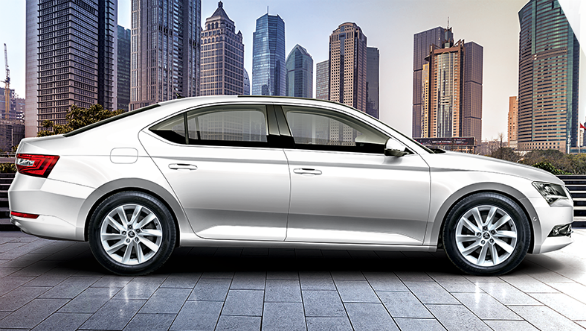 The Corporate edition can only be had with the 1.8 TSI petrol and the six-speed manual. An automatic gearbox option will be added later in the year. The 1.8 TSI petrol puts out 179PS and 320 Nm. The other Style and L and K variants can also be equipped with a 2.0 litre diesel motor with 177PS and 350 Nm. The petrol also gets a seven-speed dual-clutch and the diesel a six-speed auto. The feature list is identical to the Style variant and consequently comes with equipment like 17-inch alloy wheels, bi-xenon headlamps with DRLs, and LED taillamps. The interiors get stone beige leather upholstery, panoramic electric sunroof, 12-way power seat for driver and memory function, and a touchscreen infotainment system. There is also an eight-speaker audio system and three-zone climate control, an adaptive light system for the headlamps and puddle lights among other things. Standard safety equipment includes eight airbags, hill hold control, electronic stability control traction control and ABS with EBS. There are some nifty Skoda touches as well like the easy open bottle holder with an anti-slip design, cooled glovebox and storage space in the front arm rest. The Corporate edition also comes with Skoda's new four year maintenance program. The Corporate edition is a substantial Rs two lakh cheaper than the regular Style variant. The aggressive pricing makes this Superb variant an attractive proposition although the limited eligibility means that the car might sell in fewer numbers. Anyway, the economics seem to have made sense for Skoda, the company launched this variant for a limited period last year to gauge customer response.